Blog » Bite Sized Ballet is Coming to Calderdale! Bite Sized Ballet is Coming to Calderdale! Gather your mini ballerinas – bite-sized ballet is coming to the big screen! Perfect for toddler attention spans, these 40 minute films are shot in vibrant, high-definition colours and will be shown at Square Chapel, Halifax, starting on March 9. 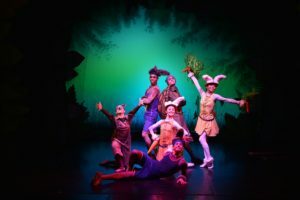 Northern Ballet’s Bite Sized Ballet series will kick off with an adaptation of the Tortoise & the Hare, followed by Elves & the Shoemaker and Three Little Pigs. Before the dancing starts, the story is narrated on screen by Anita Rani and dance instructors show children how to do some of the moves, so they can dance along. There are playful characters, spellbinding music and plenty of excitement to get your little ones on their feet and dancing all the way home!